call and find out how! Grant Berry are an independent family run Estate Agent specialising purely in residential sales covering Newmarket, Ely, Mildenhall, Soham, Cambridge, and all surrounding towns and villages. With over 45 years property related experience and having lived in the area for many years we have expertise and local knowledge. You can be confident in entrusting the sale of your property to Grant Berry. We don’t want to be a ‘corporate’ or an ‘internet only’ agency, we actually want to meet you face to face, earn your trust and respect, and ensure we will always be your agent of choice. Please browse through our website and contact us should you need any advice or assistance, we would be delighted to help. Be a VIP and not just a number! Register with us today and stay up to date with the latest properties. Never miss out on a property! We give advice and provide you with a detailed marketing report. Can’t find what you are looking for? Unable to sell with an existing agent? Want advice about the housing market? Contact us and we will be delighted to help. "Really go above and beyond to help their clients. Past the average estate agent jobs. Really couldn't have done it without them!" "We have moved house many times. We have been very grateful this time to have used an agent who has been professional, efficient and provided an exceptional personal service. Throughout the whole process we have been kept informed at every stage. After each viewing or enquiry we were informed within 24 hours with updates and feedback. Any questions we had about the process were answered professionally and knowledgeably Within the above timescale. Indeed, If it hadn't have been for our agents professionalism, diligence and plain old commonsense, the whole chain would have collapsed due to other agents negligence. This was two weeks prior to completion, which, as everyone knows is at a key stressful stage. Our agent turned everything around and saved the day for all seven parties involved in the chain. Couple this, to them showing around all the prospective purchasers and continuing to go that extra mile, You begin to appreciate how different this agent is. We would have no hesitation whatsoever in recommending Grant Berry to anyone who is either buying or selling their property. This is all shared with sincerity and appreciation to Andrew and Anna-Marie." "I have moved house countless times and the Grant Berry team were the best by far, for a smooth and positive transaction. Every detail was spot on. I have no hesitation at all in recommending them." "Received excellent service throughout the sale of our property, nothing to much trouble, and were kept updated on the progress of the sale." "I have found Andrew both polite, smart and very professional. Nothing is to much trouble for him. I have actually seen him running round with the cleaner before a client visited. He always arrived early to check the property and put lights on in all the rooms. He makes sure he has all the knowledge of the property he is selling. Andrew is nearly always at the end of his mobile phone to answer any questions. If there is a problem Ann-Maria will always answer any emails within the hour. A great team. Why do I use Andrew and Ann-Maria, I do because they take great pride in their company and keep me up to date as the sale proceedings move along interacting with solicitors." "Selling my house through Grant Berry was a pleasure. Andrew was very friendly/professional/efficient with good communication throughout the whole sales process. He and Anna-Marie offer a personal service that you don't get with other estate agents. Would highly recommend." "We contacted Andrew and Anna-Marie earlier this year after trying and failing to sell our house for three months via one of the large UK-wide agencies. The effort which Andrew went to in order to sell our house (in a challenging market) at a price we wanted was really quite impressive. When we later experienced problems with the corresponding purchase, Andrew was just as helpful in managing the relationship with our purchaser. The card and Prosecco we received after finally moving was the icing on the cake. The next time I need to buy or sell a property, I wouldn't consider anybody else. Fantastic service, great people!" "Grant Berry were recommended to us and have been by far the most proactive and efficient agents I have ever worked with. At every step along the way Andrew and Anna-Marie kept us informed which was particularly appreciated as we had two buyers pull out - one at the very last minute, so the whole process of selling took far, far longer than anticipated. I would highly recommend!!" "Andrew and Anna-Marie were absolutely brilliant. I was a first time buyer and they both went out of their way to make sure I understood the whole process and kept me informed right the way through. They are very ethical estate agents and the passion and professionalism they both showed was exceptional. Once the purchase was completed Andrew even came to the flat to hand deliver the keys with a moving in card and bottle of fizz, small touches like this really go a long way! I would definitely recommend and would use Grant Berry again." "Fantastic service from start to finish, Andrew and Anna-Marie are supportive and available throughout. I was quite nervous about getting something wrong but they patiently talked me through every aspect of the move. They are the ultimate professionals but at the same time they are very approachable, nice people." "Andrew and Anna-Marie were professional throughout and the house buying process was overall a good experience. Andrew and Anna-Marie show a lot of experience in the sector and had a very personable approach to the buying process. Overall I would recommend Grant Berry to anyone buying or selling a home." "From the viewing to the after care Andrew has gone above and beyond his job role. What a fantastic service. Punctual, professional and very helpful along every part of the way." "Andrew and Anna-Marie were great the whole way through the process. They were prompt, efficient, took excellent photographs and were honest and straightforward in all our correspondence. They were also incredibly helpful with chasing through our chain when things got complicated and kept us updated which was much appreciated." "I found out about Grant Berry estate agents through an recommendation from my letting agency and I must say it was a great recommendation! From start to finish Andrew was professional and always kept me fully up-to-date throughout the process. I did feel at one point my property would not sell but I think with the right marketing and pick up in the market we managed to sell at a price with we were very happy with. After we had an offer accepted I felt Andrew & Anna-Marie dealt with all parties very well. Compared to other estate agents in the chain I felt they were much more honest and helpful. Great job as selling a house is stressful but I would highly recommend to others." "Anna-Marie & Andrew from Grant Berry Estate Agents made the buying process for us simple. They showed us round the house without delay and liaised with the vendors and solicitors to ensure the whole process ran smoothly. Their local knowledge is also an advantage." "Andrew has made the whole experience of us buying our property very comfortable. He has gone up and above what he was supposed to and was very thorough, professional and extremely helpful." "The whole process of buying my house was dealt with extremely efficiently. In particular, communication was excellent - I knew exactly what was happening at every stage." "From start to finish in 8 weeks,of marketing the property,outstanding!, sold within three days Professional at all times. Excellent photography and property details, prominent on web sites.Kept up to date via email and chased solicitors as needed." "Andrew and Anna-Marie were simply the best estate agents i have come into contact with. This is was the second time i have bought a house and my previous experience of estate agents have been mostly negative. However as soon as i met Andrew and Anna-Marie i knew they were the people i wanted to sell our property. They are both passionate about what they do and go the extra mile to accommodate viewings. In addition to this they give their honest opinion about all subjects which i have found is a rare commodity in estate agents. I have recommended GrantBerry to all my friends and family and would not hesitate to use them again in the future." 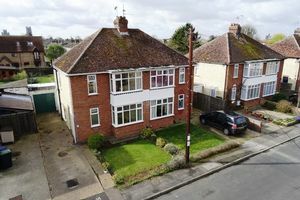 "I would like to thank you for the unique and pleasant experience in selling the property in Ely. Without doubt it was due to the good capable hand of Andrew and Anna-Marie that offered simply a different service package, very professional and yet friendly, very pragmatic and yet ideally effective. Most important other keywords and service features are their availability, excellent communications, courteous, quick response, well timely updates, realistic evaluation, knowledgeable, trustworthy, and the extra mile............... . The personal commitment and dedication reflected in the professionalism, not just in receiving instruction but pro-actively in giving exceptional, accurate and realistic service using good, effective strategy and considered approach, therefore I would recommend Grant Berry unreservedly." "From start to finish, Andrew dealt with the whole process very professionally and successfully sold our property at very near the asking price after the previous estate agent gave very poor service. He was on the ball from the start and both he and Anna-Marie took great photos, including aerial photos, which really helped show the property in it's pleasant location. Their property description was very thorough and far more appealing than the previous agents. At all stages throughout the selling process, he kept us fully up to date with all relevant news on viewings and all the information we needed to know. He did everything needed to speed up the sale when it was required and sold the property in a timely manner. We have been delighted with the all the detail he dealt with personally and unlike larger national companies, we always knew who we would be dealing with." "From our initial meeting we knew we had the right agent to market our property. All viewings were accompanied; conducted in a professional and courteous manner; feedback was immediate with follow up calls if necessary. We did not do their job for them; THEY sold our house and kept us informed till completion. We highly recommend Andrew & Anna-Marie's bespoke service"
"Brilliant service, kindness and professionalism at a very difficult time. They sold the house as if it was theirs, with passion and knowing everything about it to give an honest account to the buyers." "Andrew and Anna-Marie were fantastic to deal. Very quickly to help with any problems we had. Very honest, friendly and went the extra mile. They were recommended to us and I'm glad they were. Easy and hassle free housing sell just what me and my wife were after." "I slwsys use this agent when selling my home. He is no ordinary agent as I could call him at any hour with any questions I have. Andrew does all his own viewings arriving half an hour before to check the house is tip top and turning on all the house lights to show the property off. He has even been known to hoover before a viewing. Andrew always wears a smile even with difficult viewings. He is more than happy to do viewings even on Sundays which is unusual for estate agents. His sale prices are realistic therefore obtaining a quick sale. I have used this first class estate agent now three times and recommended him to quite a number of friends and relations." "What fantastic service! Having been with a high street agent, doing a lot of the viewings myself and getting nowhere, I was recommended HomeXperts (Andrew Berry). Andrew assured me he would attend ALL viewings, which took a great deal of pressure off me. He kept us informed all the time, getting the right viewers appropriate to our property and kept the whole process flowing well, right through to handing over the keys. Andrew even found a perfect house for us to buy ! Highly recommend Andrew and Anna-Marie at HomeXperts and would definitely use them again in the future." "Not all estate Agents are the same. Andrew and Anna-Marie have done a first-class job for us in a difficult market. If you want someone who earns every penny of their fee - choose Andrew Berry." "We found Andrew Berry and his team to be a cut above all the other Agents we have ever used, and here speaks a couple who have bought and sold more than 16 properties in the last 40 years!!" "Absolutely fantastic! Both Andrew and Anna-Marie went out of their way to ensure we had a brilliant sale on our house. They committed themselves to us from start to finish and really went that extra mile to allow us to be kept up to date at every stage of the process. I can't recommend them highly enough, a truly brilliant and very professional service." "I have bought and now sold a property for which Andrew and Anna-Marie were the Estate Agents in the transaction. It is a genuine delight (and surprise, given my experience with other Agents through over 20 house moves) to be able to recommend them wholeheartedly. They offer exceptional, accurate and realistic insight into the temperature of the market, are pragmatic, available, highly organised and take an active role in co-ordinating the transaction right through to completion, very much working with you and your advisers as a partner. True professionals and worth every penny!" "Very enthusiastic professional and above all personal service including organising house clearance . All viewings attended and immediate feedback provided . Kept involved right through to sale completion,"
"Andrew is very attentive, very reactive and very good! I've already recommended him to a number of friends and colleagues and have encouraged them all to use his services." "Andrew and Anne Marie, has excelled in our expectation of estate agents to date. previous we had been constantly let down told dubious information about properties and left wondering where we were in the stages of selling our house. Their was no signs of this from this professional outfit. The photos and floor plan were the best on the market. I think the 3D floor plans is what sold our property along with the 20 plus High Definition and high level images. Andrew was kind enough to show all prospective viewers the property, provided immediate feedback and kept us well informed at every stage of the process. We would highly recommend his services and he has restored our faith in Estate Agents." "After dealing with 3 other agents with no success, Andrew and Anna-Marie Grant got the job done in a matter of weeks. Andrew's marketing of my house was based on careful analysis of similar sales and properties in the region for the previous year. Anna-Marie's staging and photos were so professional I almost wanted to hang on to my house a bit longer. Andrew was available as needed 7 days a week and even while on holiday. The Grants were incredibly professional and effective in getting my house sold. I highly recommend them." "I contacted Andrew when my Mother died in July as I had to sell her bungalow in Burwell. I contacted Andrew as he successfully sold my house a couple of years ago in Stuntney. It was very reassuring having someone who helped me all the way in dealing with the sale. He is very professional, friendly and helpful. Nothing is too much trouble for him. He vets purchasers before they view, so no time wasters. He arrives early to undertake the viewing himself. 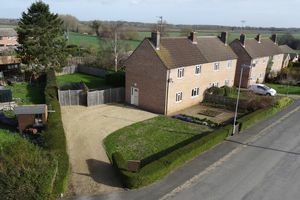 Not only did he sell my Mother's property in only a few weeks it being on the market but he has also found a buyer for my own property in Isleham. I would recommend HomeXperts for that personal touch with dealing with one of the most stressful events of selling a house. No nine to five hours with Andrew he is always at the end of his mobile phone." "On meeting Andrew I knew I was going to get top treatment from these agents I have brought and sold many houses in the last 30 years and have to say this one was stress free apart from the tenants Will defently be using again"
"Very professional service, quick response for every question, excellent communication. A strong commitment. Many thanks"
"After dealing with many estate agents over the years, i would never use anyone else other than HomeExperts. From the onset Andrew was extremely cooperative at all times and always very pleasant. Andrew genuinely cares about his clients and always felt that nothing was too much trouble in dealing with our needs. We have sold and purchased through Andrew and Anna-marie,,I cannot recommend them high enough. They offer a completely honest personal service, they do exactly what they say they will do, when they are supposed to. I have dealt with many other larger estate agents and have never had the service and satisfaction that we received from Homexperts. They are such a lovely couple and we wish them all the best for the future :)"
"Andrew and Anna-Marie of HomeXperts stand head and shoulders above other agents. They are passionate about their work. We were kept up to date with the sales process every moment of the way and trusted their expertise. Not that I'm surprised; this is the second property they have sold for me in a year. Two completely different properties and different circumstances but I had no hesitation in using their services on both occasions. This second sale was of a property which was quite unique in many ways. We knew the 'right' buyer had to be found but the attention to detail in marketing the sale and the diligent and professional approach of Andrew to viewings was exceptional. Do I recommend Andrew and Anna-Marie? Absolutely! Every time!" "We found HomeXperts in Chippenham to be professional, knowledgeable, courteous, and above all, communicative throughout the selling/buying process. They understood the local market and gave us useful tips to ensure our house stood out from the crowd. The most import aspect though, was their communication: They were very approachable, and always available either over-the-phone or face-to-face when we needed help or advice. In all, we felt that we were kept fully informed and given good advice on a regular basis during the whole process." "Andrew and Anna-Marie were extremely helpful, friendly and hard-working. Nothing was too much trouble for them and they were always ready to help with any question or problem which I had." "We have bought and sold several houses over the last 30 years but the service we received from Andrew and Anna-Marie far exceeded the service we have received from any other estate agent. Andrew was recommended to us by someone who also reported a very positive experience from this company. From the start, it was clear that Andrew is a very knowledgeable, experienced and confident salesman and this inspired us to use his company to sell our house. Andrew lived up to his reputation and sold the house three times over in one day, achieving full asking price! The after sales service received from Anna-Marie was also exceptional, going far and beyond what many other estate agents are willing to do. The magnum of bubble on completion was also a very nice touch We highly recommend"
"After receiving a very poor service from a high street estate agent I decided to change to HomeXperts. I was impressed with the professional service I received from the initial telephone call through to the sale of my property. Although it was a small property I received a full service and Andrew could not have done more to help promote and market the property. Once an offer had been made he worked endlessly to see it through to completion. I have no hesitation in recommending HomeXperts and would definitely contract them again myself in the future." "I am a landlord and 1st contacted Andrew for a valuation on my rented property, This was delivered accurately and in my budget so I decided to sell . Andrew found quality buyers immediately and dealt with all the negotiations with my tenants,even though there were a few problems ! Overall ,I would recommend HomeXperts unreservedly"
"I was very impressed with Andrew and Anna-Marie who gave a very good service in as much Andrew took over twenty photo's of the property which were good and put fifteen on the portals Anna-Marie did a detailed 2 and 3D floor plan. They both made sure the sale went through as quickly as possible communicating well with buyer, seller and solicitors on a well organised basis. I felt it was a bespoke personal service with individual clients. This e-Estate Agent does everything for you doesn't over charge and get you the asking price they state it is worth. They don't overestimate the asking price and expect you to drop it if it doesn't sell. Why? because they analysis the who views the advert and follow up on potential buyers steering those buyers who are interested in this type of property. They rarely expect sellers to drop the price as they sell most of the properties with in a very short time, I excepted an offer within two weeks of advertising. Unlike other e-Estate agents which are very much a DIY property sale as the seller does 90% of the work even though it is at a fraction of the cost of high street Estate Agents. Once more the High street Estate Agents as a generalisation are greedy lazy and out for maximum profits giving a poor service. I feel Andrew and Anna-Marie have got it right with an Excellent service at a fair price which reduced my stress levels and could trust them to sell the property without me needing to do anything but wait for the sale and completion." "I was living in my home in Red Lodge for just over 6 years. When I first tried to sell the home, I was less than impressed with the estate agent (NOT Homexperts!) I felt that they did nothing for me. I stayed in the home for another year then, and found myself moving to the United States. A close friend suggested Andrew at Homexperts, so I called. This was, by far the best decision of my life. Andrew started by asking what I wanted in my home sale. It only got better as time went on. I had an acceptable offer very quickly, which Andrew was more than happy to advise about, and once I decided to accept, the sale was closed within 7 DAYS!! Not only did I get a great price, but Andrew and team worked hard to make sure I was satisfied. This incredible feat is even more remarkable, as I had moved to the States prior to the listing, and every aspect of the sale was done without returning to the UK! This experience with Homexperts give me hope once again that agents like Andrew are truly there for you as a customer. Give them a call!!!" "The best estate agent I have worked with - I'm a professional landlord so deal with many estate agents on a daily basis. Worked over Easter weekend to get the property listed and did a viewing on Easter Sunday morning - sold our property over the asking price during the first viewing. I can not recommend highly enough - will use again without a doubt"
"We were recommended to Andrew Berry at Homexperts by a friend and the service and professionalism he has shown, whilst helping us through the processes of selling our home have been second to none. He has been extremely thorough in giving us the details of prospective viewers and as much info as could he could include to help with what they were looking for. He called us back after each viewing to get our feedback plus contacting the prospects themselves to get feedback for us. Once the sale was agreed Andrew chivied along the solicitors to ensure that the documentation went through quickly and efficiently. At each stage he let us know what was happening and upon completion was instrumental in getting the information back to us as soon as he could. We would highly recommend Andrew and would highly recommend both Homexperts and Andrew to anyone we come across wanting to sell their property." "Fantastic, way over and above anything I expected . . . in serious danger of giving estate agents a GOOD name (well one estate agent anyway). When I decided to put my bungalow on the market I didn`t feel that optimistic as it had been a frustrating disaster with two well known agents just a couple of short years ago. However when choosing three agents to come out and value I came across Homexperts website, read some of the reviews and included them in my selection. I am so glad I did . . . Andrew Berry stood out as being professional, friendly, conscientious, knowledgeable and above all he actually cared. His partner Anne-Marie took some stunning photos and produced excellent details including 2d and 3d floor plans. It is true to say that Andrew had more people through the door in two weeks than the previous agents did in seven months and he conducted all the viewings himself. On one particular Saturday Andrew turned up three times to conduct viewings becoming quite a member of the family. Whilst a purchaser was found quickly the whole process did in fact take a long time due to the fact that the initial chain broke down just before exchange. Andrew was proactive throughout, upfront and informative and worked tirelessly to put the chain back together with new purchasers at great speed. I can`t speak highly enough of Homexperts because even when the going was tough and stressful Andrew was there working hard on my behalf. I would absolutely recommend them to anyone from first time buyers to disillusioned sellers like I once was . . . his commitment and compassion will change your views." "Andrew and Anna-Marie, 'HomeXperts', sold a property, at the asking price, for myself and my brother which completed in May 2014. Their service is exceptional; always willing to 'go the extra mile'. In appointing Andrew to represent us for our sale, we wanted to know that the person who took our instruction would see the sale through, every step of the way, to completion; Andrew proved to be that person. 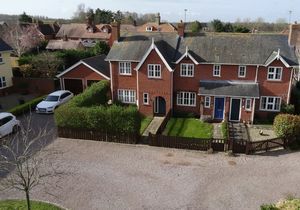 Regular updates, a phone call or text after every viewing to pass on the prospective buyer's interest and comments, and an enthusiasm which oozed confidence that we were in good hands. Andrew and Anna-Marie are exceptional, highly knowledgeable and dedicated to providing outstanding service. I am delighted to recommented them."